We are an industrial equipment and machine tool safety services company. 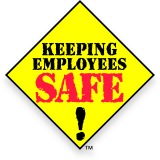 Our mission is to assist our corporate clients in meeting OSHA requirements for safety and documentation. We are currently hiring technicians to join our team and help us assess machines and identify hazards in client facilities. Our clients are located in the United States and abroad, so travel is frequent. We will train each technician based on their technical expertise and experience. Send resume and references to careers @ ehsinsider.com, subject "Industrial Equipment & Machine Tool Technician"